The description, A Whale Breaching From a White-Flecked Green Sea, was in an article in a local newspaper. I read that and immediately knew without seeing the photo where that location was in the Green River Gorge. Beyond the gate at the end of the parking area for the Green River Gorge Resort / Paradise area a series of old roads lead to different locations along the river. Follow the road past the first left and take the second left toward the river. Follow the primitive locals trail down along the hillside between the river and the uplands of the old town of Franklin. Along the way you’ll see some old railway line. The river has changed in this area. 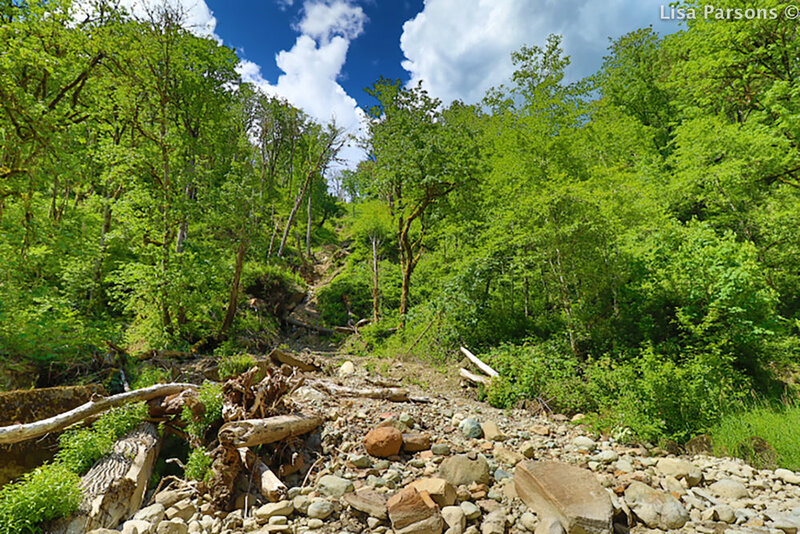 A few years ago a large slide came down the north side of the river sending a large mass of boulders, mud, and trees to form a new shoreline and add additional rocks in the river. The Green River, like any river, is constantly changing. The ground along the sandstone bedrock is fluid with heavy rain saturated ground giving way to the power of gravity. The Gorge remains a deep ditch between two communities but within it is always changing. Small beaches are eroded and new beaches are formed by the power of water. Hillsides slough, and and trees topple. In the winter the river is wild. The high water pulses and pushes against the sandstone cliffs carving bowls, tunnels, and smooth undulating walls. In the summer the current at low water wanders slowly between exposed boulders and riffles tumble gently into deep languid pools. It is in the summer that the Gorge is more friendly and inviting. 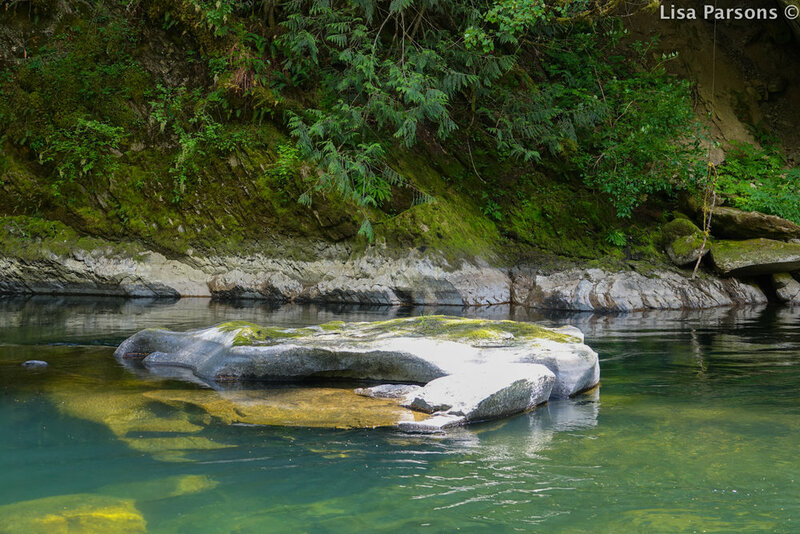 A swimming hole like this one beckons on those hot mid summer days when the frigid water is a welcome relief. As with any river use caution. 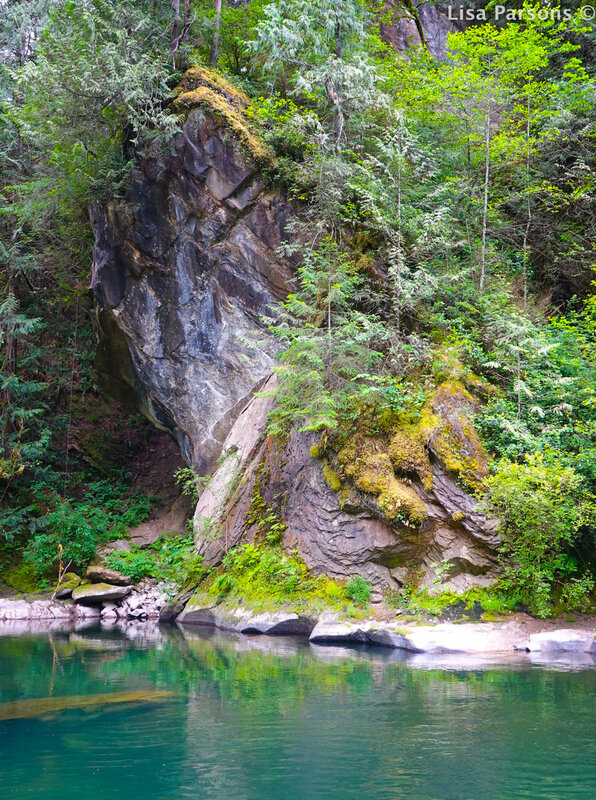 The Gorge is only a good place to swim in late July and August. None of the trails in this area are officially maintained. 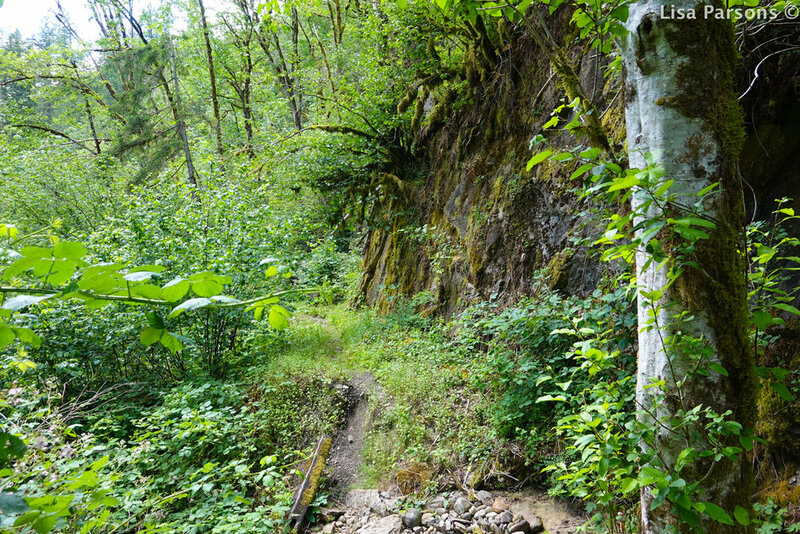 They are local’s trails and are often primitive and can be exposed in areas. Use common sense. Know your limits and enjoy the discovery of this amazing wild area just 30 miles from over 2 million people. To get there: Turn east at the Cenex station on to Lawson Rd from highway 169 that runs thru Black Diamond. Follow the road 4 miles down to the river. Right before the one lane bridge turn right on to a gravel road and a wide open area with parking on the left. Park, put your $5 into the box at the entry. Walk to the end of the parking area past the gate that separates the private land from Washington State Parks land. Follow past the first left and take the second left. Follow it down to the river.